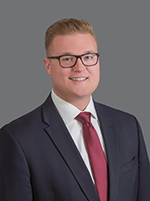 Connor is a Sales Associate with Cushman & Wakefield | CRESCO Real Estate, where he works assiduously to meet his client’s needs and provide them with outstanding services. Connor specializes in both tenant and owner representation, while assisting local and national businesses in their real estate endeavors. A few of his responsibilities include financial analysis, lease and sale negotiations, as well as leveraging the market to achieve the most favorable terms for his clients. The knowledge he has obtained as an Ohio native, paired with his ability to stay attuned to market trends and opportunities, allows him the ability to easily adapt to all situations and provide creative, enterprising solutions to each of his clients. Connor has been recognized for using his exceptional market knowledge and aggressive negotiation skills to achieve his clients’ business and real estate goals with great success. RIDGEPARK MEDICAL CENTER 7575 Northcliff Ave.
5357 BROADVIEW RD. 5357 Broadview Rd.